I venture to guess if he offered to do this for us, he would have a hundred reels on his porch the first week. You can't dump this down the drain and also without the correct materials you will notice color changes almost instantly in the sun. Black will turn blurple is a good example. Red will turn pink, etc. well, purple and pink are popular colors!!!!!! - not so much when you were attempting green! Thanks for the sticky Alan! 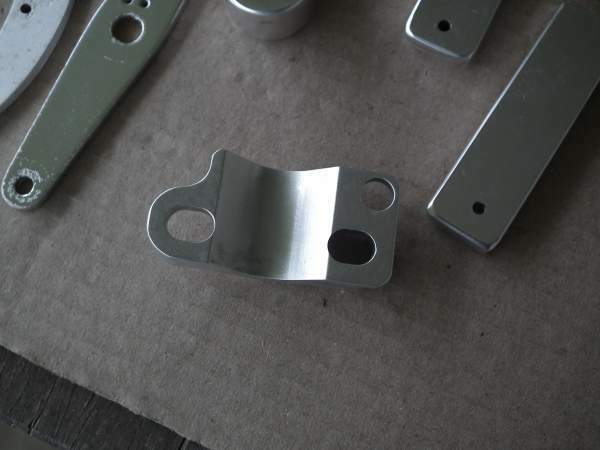 There seems to be a bit more interest in this topic than I expected - I hope it turns out to be useful for anyone that wants to experiment with DIY anodizing. I’m glad you’re aware how dangerous some of that stuff is, I would be scared to try it at home. 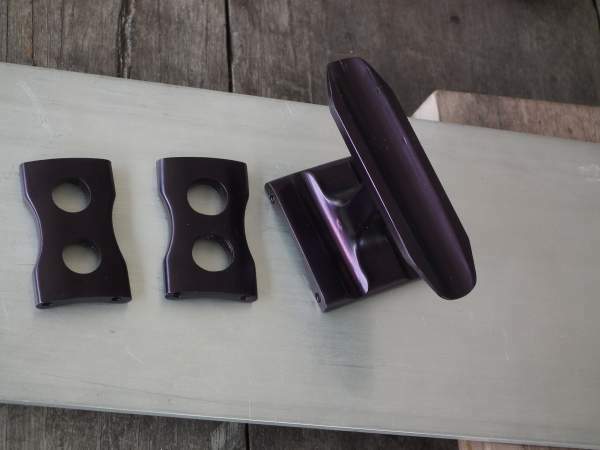 I didn’t think it was possible to strip the anodizing. Looking forward to see your finished product, I have no doubts it will be flawless when you’re done with it. Thanks Sal, The stripping process is working as well as I had hoped, but putting it back on is a work in progress and still a long way from flawless. You bring up a good point with the safety aspect, I should have mentioned it earlier – Sulphuric acid and Phosphoric acid are corrosive to skin and eyes and need to be handled with care – rubber gloves and eye protection are necessary. Also, when mixing acid with water, always add the acid to the water (AAA). With many acids there is a lot of heat generated when mixed with water, if you add water to concentrated acid the water can rapidly overheat (beyond boiling point) and splutter violently, splattering the area and you with acid. By adding the acid to the water, the heat is generated at a slower rate and is dissipated in the water but still requires caution. ... I can see plenty more parcels on your door-step in the not too distant future! Mike, if you weren't so far away I imagine you'd be getting Ohana parts boxes here directly to color up for us From me anyway. Thanks for your confidence guys, but I think it could be some time before I‘ll be confident enough to risk doing parts for other members. From what I have read so far, organic dyes (like most fabric dyes) will work but are a lot less color fast than inorganic (metal?) 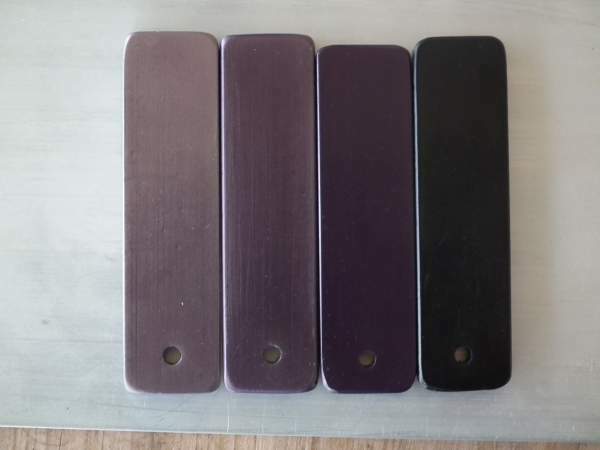 based dyes that are sold as anodizing dye. 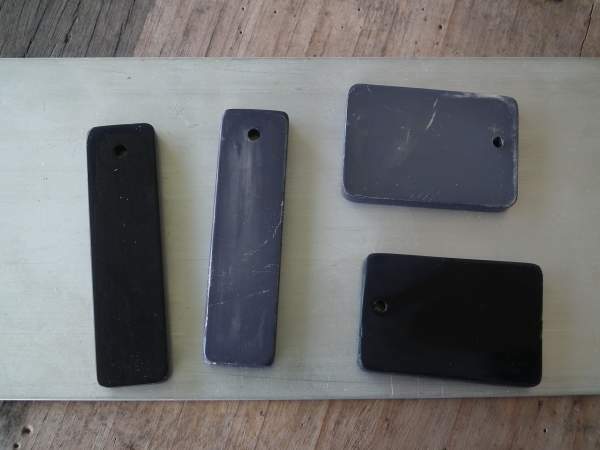 I am also toying with the idea of a nickel acetate sealing bath that some say is better for sealing the color than a simple boiling DI water bath – other articles I’ve read say it’s just faster with lower energy costs? It can't be too difficult - a lot of people do it. Do it at least twice! This will get MOST malware but knot all. 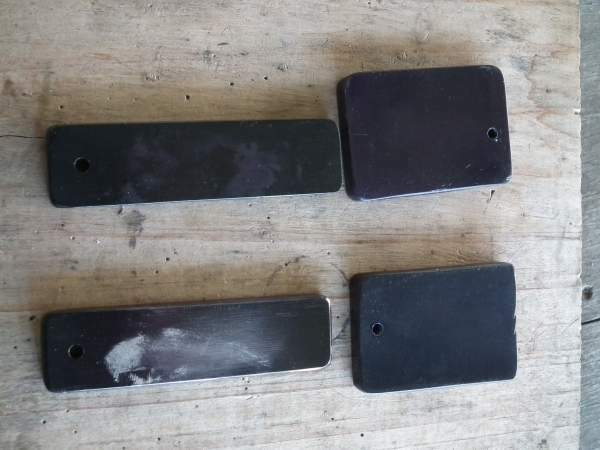 Before getting back to the anodizing trials, I tried the phosphoric acid stripping process with a couple of commercially anodized parts. There were two accurate handle arms and two tiburon rod clamps - both the handle arms were pitted to start with, red one in particular was badly pitted under where the counerweight sat. The black rod clamp was new and the other clamp is old but in fair condition. 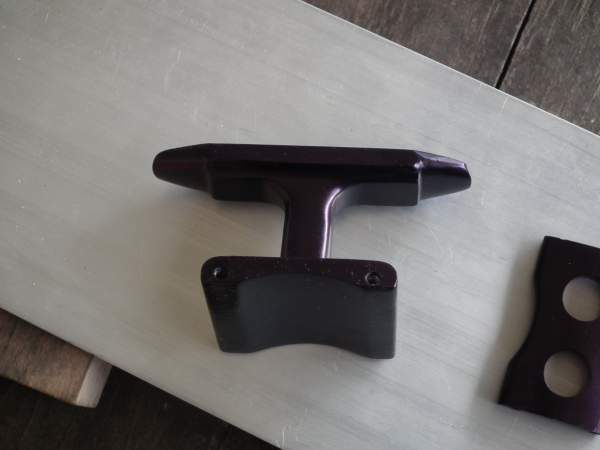 The handle arms and old clamp took around the same time as my test pieces but the new black clamp took a few minutes longer than the rest, and there is a small bit of residue left in one internal corner. 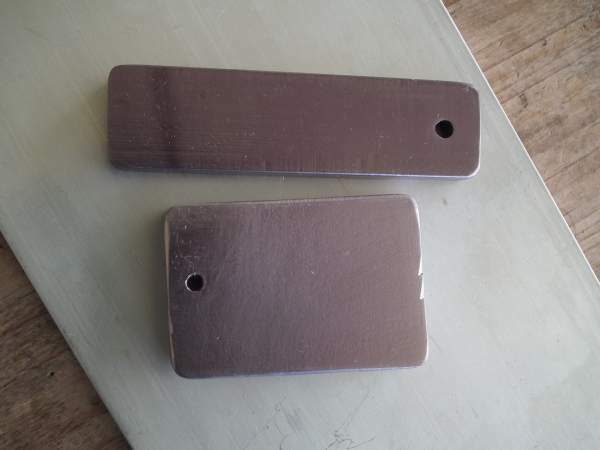 Don’t know if it was just a thicker coating or maybe it was Type III anodizing but whatever the reason, it was still pretty quick and easy. Mike - regarding the virus. Assuming you are running Windows 10 its built in anti-virus (Defender) is reasonable but not perfect. I personally use Malwarebytes (premium). The cost is minimal and it has never let me down. I basically let the program do a complete scan every morning - on a reasobaly modern pc it only takes a few minutes. The program is also very good for online live protection. Cyber crime is on the rise, perhaps that's why there is proposed Federal legislation working its way through Congress. Thanks Chris, after the reset I am relying solely on defender, which may not be enough as you said - I've seen Malwarebytes recommended elsewhere some time ago and will look into it. 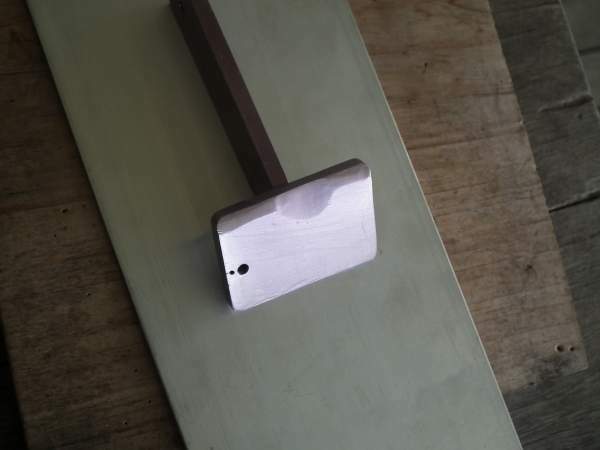 Back to the anodizing trials – I’ve been tossing up whether to post the details of my unsuccessful trials or just wait until I’ve sorted it out and show the good results (assuming I'll get good results eventually). 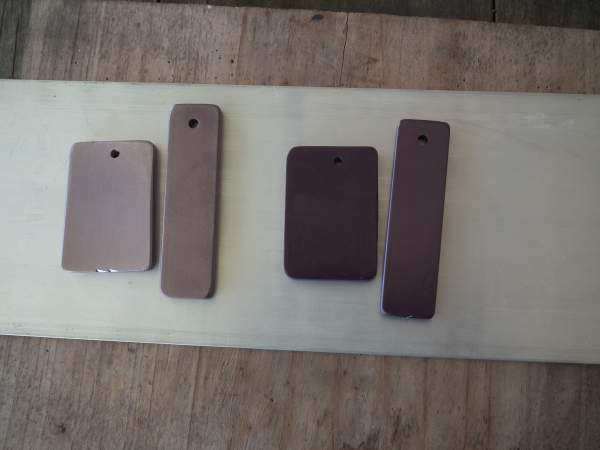 I've decided to post the results of what I’ve tried to date; hoping to get some input from others that have, or have tried to anodize at home and also show that for me at least, it is not quite as strait forward as the 'how to' guides might suggest. I’ll try to keep the descriptions brief but will include a few notes like the target thickness and current density calculated using the '720 rule' calculator with a few observations on the outcomes. 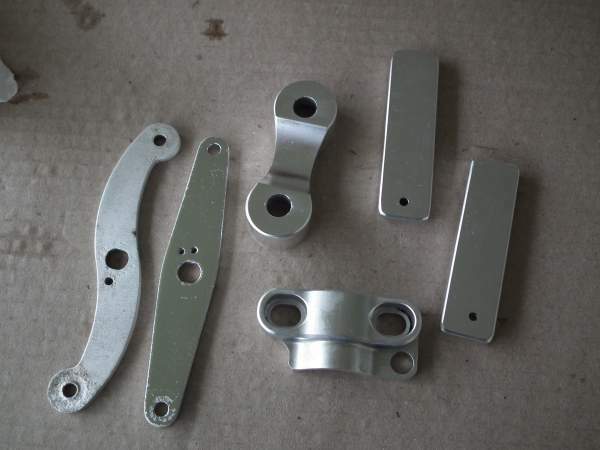 Next up was to try anodizing some of the stripped test pieces. One to remember! Bath temp started at 72F finished at 76F (I don’t have any temp control and am relying on ambient temps), Looks like contamination on at least one piece, the black dye was well above 140F and may have started sealing the pores before the dye had penetrated? Bath temp started at 73F and climbed to 79F. There is not much improvement - the color is better on the black but there is a patchy cloudy film around the edges that didn’t buff out. Time to step back and re-assess what I’m doing with a bit more searching the net. One of the Caswell forum threads discussed a few of the possible causes of “splotchy” or poor dyeing results. One of the causes mentioned was allowing the piece to dry after dying and before sealing – something I hadn’t been paying attention to but will be from now on. 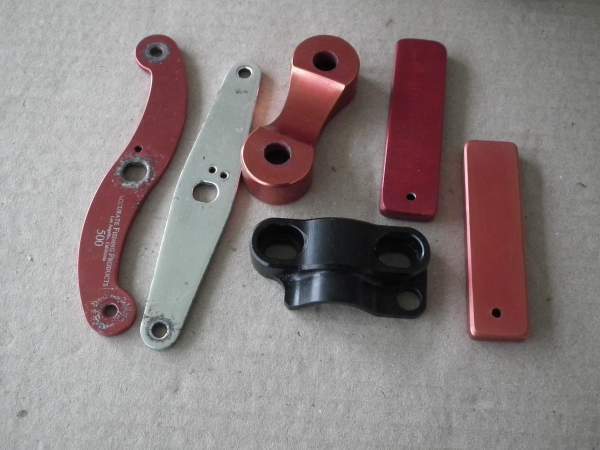 ‘Standard’ Type II anodizing uses 12 ASF in a 15-16% sulphuric acid by weight bath, LCD uses 3 – 6 ASF in a 9-10% acid by weight bath. My bath is 12% by weight at the moment, about half way between the two processes’, so I thought I would try a current density about half way - 9.0 ASF. It shortens the run time and hopefully reduces the temp variations I’ve been getting. I also made room in my beer fridge while I was pondering this and cooled the bath before starting, and reduced the target thickness to 0.7 MIL. The finish is starting to look better – the scratches on the surface were there beforehand. The color is an even gun metal gray but not the black it was meant to be. I’m not sure what caused the darker streak across one piece. The starting temp was 63F and finished at 68F which is on the low side of the recommended temp. I’m not sure if the poor take up with the dye was due to temps being a bit lower than recommended causing smaller pores or the layer wasn’t deep enough for black. Start temp 65F finished at 72F. Getting darker, but still not black. Next was to try reducing the current density to 7.5 ASF. Start temp 71.5F finished at 73F. Darker again, but still not black. Next was to go back to 6.0 ASF with 0.7 MIL and give the gray fabric dye another try at the original strong concentration to see if it produces the same black it did earlier. Temp started at 73.5F and finished at 78F. This was probably the best result so far – both the Malawe black and fabric dye (long piece) look an even black. 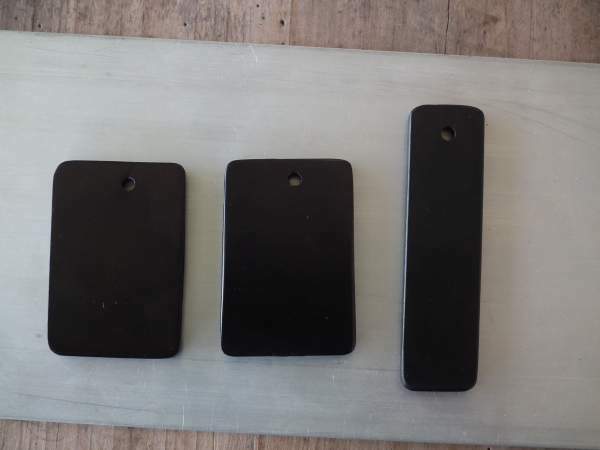 I have been persisting with trying to get 1.0 MIL thickness – it’s reportedly the maximum thickness achievable with LCD and would offer the most corrosion resistance using the LCD process. Thinking the process was starting to work, I tried for 1.0 MIL with the underhead surfmaster frame. Temp started at 64.4F and climbed to 75F. 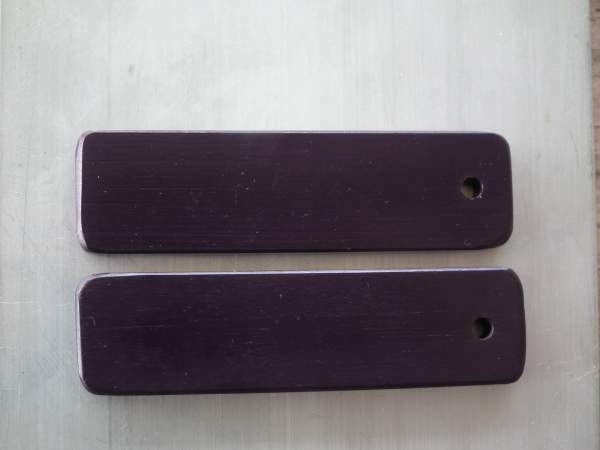 The result was a good finish with an even dark purple finish. I’ll try a higher starting temp with the same settings while I wait for some jet black dye to arrive. That brings this up to date. Great Post Mike, getting more interesting all the time, thanks you, keep it coming, cant get enough, cheers Don. Mike, I love the way you keep trying different settings, you are doing all the hard work for others to enjoy...good job. I like the way the part came out, I never thought you would be able to do this at home. I was hoping you were going to teach us all how to do this Mike. Now I realize that the rest of us will not have the patience. Good work.